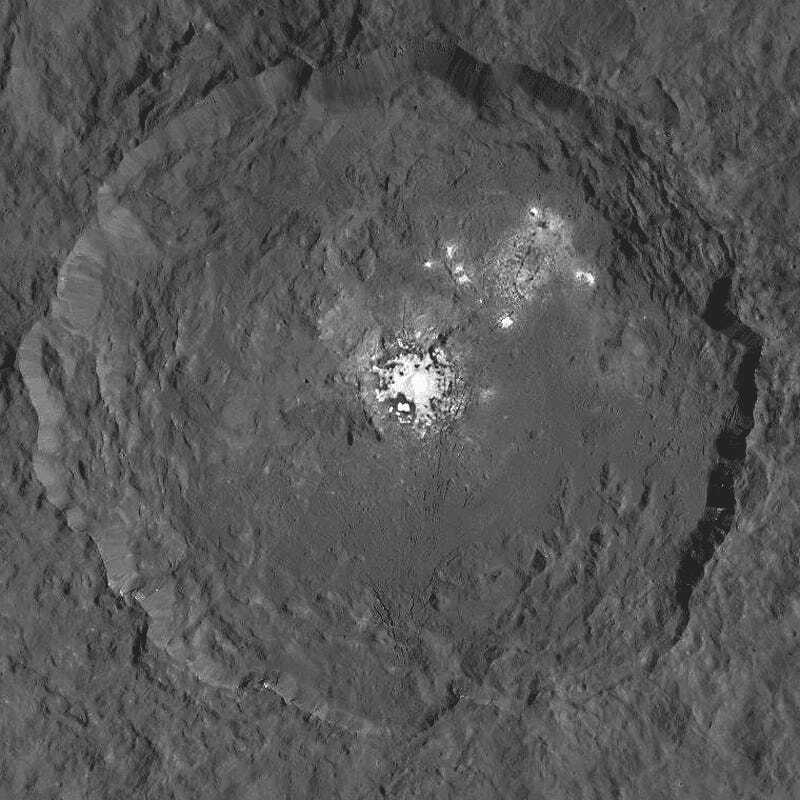 NASA’s Dawn spacecraft has just sent home a new photo, a much closer look at the famous bright spots on the dwarf planet Ceres. Compared to the previous images taken from higher orbits, significantly more details can be seen in this new photo of the Occator crater. Dawn has transformed what was so recently a few bright dots into a complex and beautiful, gleaming landscape. Soon, the scientific analysis will reveal the geological and chemical nature of this mysterious and mesmerizing extraterrestrial scenery.